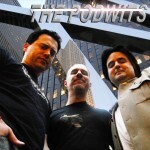 (Originally Aired April 2014) The Podwits have a VERY special edition of the podcast this week, with AM 331’s own Yorkshire Girl in studio to expound on anything and everything that matters… And what does the lovely lady have on her mind? Horror movies; the amazing sub-subgenre that is the 1970’s TV movie; the love for Darren McGavin‘s Kolchak The Night Stalker and Vincent Price; and, their obsession (and the UK‘s) with Peter Falk’s Columbo– plus a heck of a lot more! Yes it’s a jammed-packed episode, so come on down and have a listen! PreOrder a Signed Copy of the 50th Anniversary Edition of Vincent and Mary Price‘s amazing cookbook, “A Treasure of Great Recipes“, being released in September of 2015. Dion was mistaken when he said Clint Walker was in 1977’s SnowBeast, in fact it was Robert Logan. Jeremy Brett was the actor who couldn’t be recalled that played Sherlock Holmes in the 1980’s. Here is the website for all the Columbophiles in the world who want to know everything there is to know about the great detective. Number 2 son, Victor Sen Yung‘s great cookbook The Great Wok Cookbook, is here. And Robert Conrad was the actor Yorkshire Girl and Dion could not remember who guested in a legendary Columbo, where we see one of the few times the policemen lose his temper.